I come by it honestly. It's in my blood. 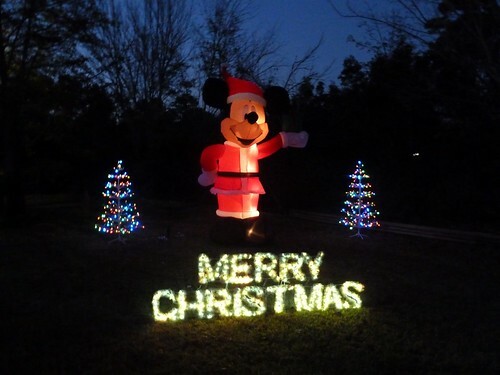 My family has always decorated the yard for Christmas. We rarely put lights on the actual house, something about ladders being too risky, but everything else was fair game. My favorite thing was our Santa. He was plastic, somewhere between 5.5 and 6 feet tall, and brilliantly lit. 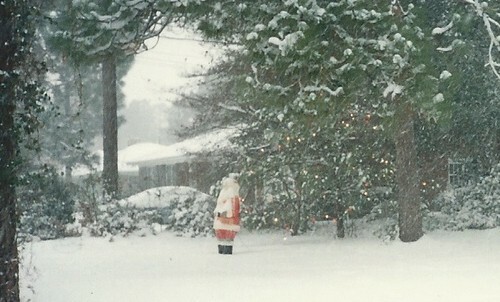 From the time I was very small, the holidays began when Santa appeared in the front yard. 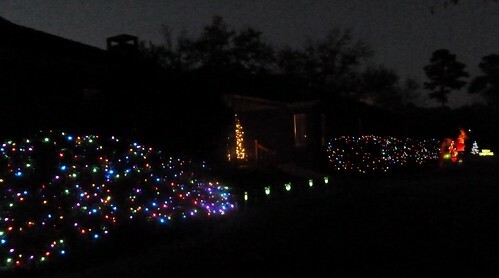 Eventually, I was drafted to help with the outdoor lights. Trees, bushes, fences were all covered in lights. Bushes got smaller lights and trees got the enormous C9 lights. 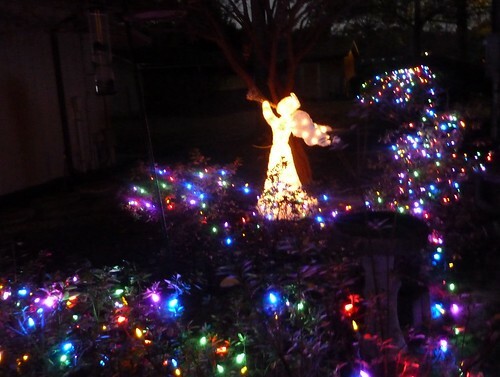 Fences got artfully draped white lights. 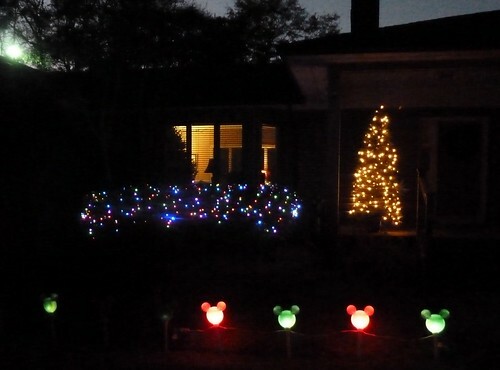 Our front porch Christmas tree and flashing Mickey lights. The only thing missing is our Moravian Star. The light burned out and of course it takes a special bulb! This is looking down the front of our house. Can you guess that I love colored lights? This is a new addition this year, the Reindeer Barn inflatable. This is actually my favorite. You'll never see if from the front. It's in a little side courtyard. I typically work at our kitchen table and this is just outside the bay window next to the table. I enjoy these every single night. Now I'm curious about you. 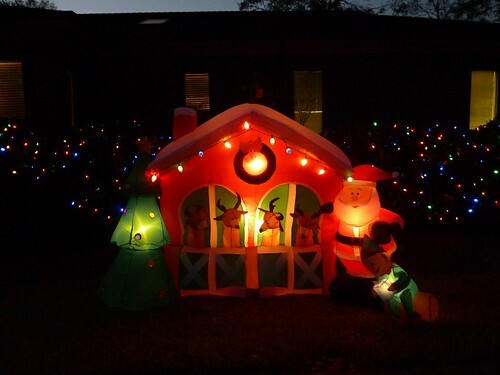 Do you decorate your yard for the holidays? Colored lights or white? Twinkling or always on? Inflatables or tasteful wreaths with ribbons? Let me know in the comments below!